My art is based on an urge to make objects for use. 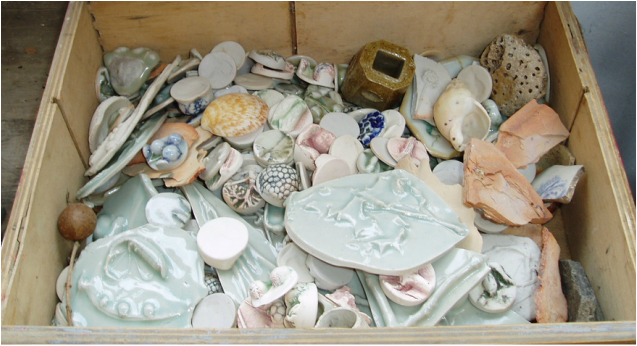 I am also fascinated by developing glazes for stoneware and porcelain. 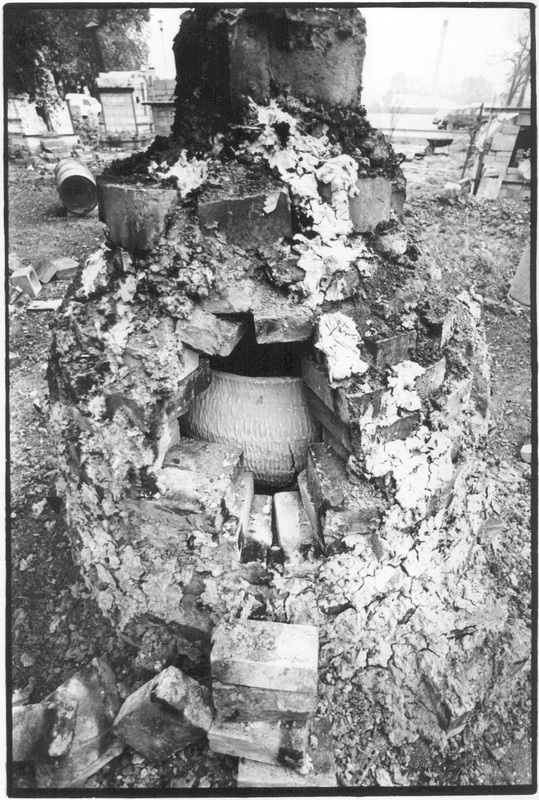 I want the effects of the extreme processes of firing in a high temperature atmosphere to be visible in my work so that the pots show their history. Porcelain bowls with copper red glaze, porcelain bowl with altered rim, porcelain candlestick with peapod handle, stoneware box with island lid and copper glaze. I aim for the surface and form to convey the irregular and intimate quality of things made completely by hand. I know from my research that complex visual ideas can be transmitted through such slow physical and labour intensive technologies. I trained on the Harrow Studio Pottery Course whose ideals and ethos underpin my work. I am grateful for the rich, technical training I received as its influences from the Arts and Crafts movement emphasised the social element of making high quality accessible craft objects. Ceramics from the Sung Dynasty in China, Japanese Bizenware and English Medieval pottery were also drawn on and still inform my work. Later training in art therapy led to collaborative and therapeutic work in the NHS, and subsequent teaching and PhD research at Goldsmiths examining the therapist’s art practice. My current studio in the Cotswolds will be the eleventh I have set up both for myself and organisations. I also like to teach and run workshops. 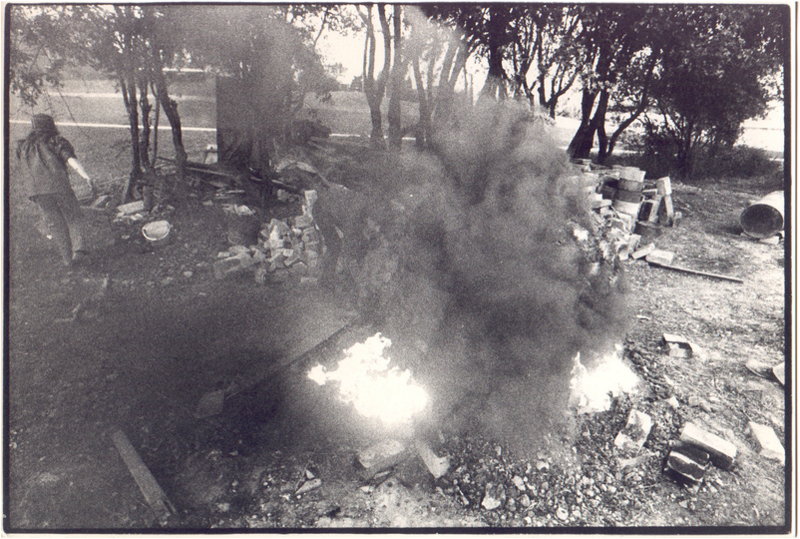 Firing a one-off kiln, Harrow kiln site. Photo courtesy of Jay Myrdal. 1992i The organizational context of art therapy, in Waller, D. and Gilroy, A., eds. Art Therapy: A Handbook, Buckingham/Philadelphia: Open University Press. 1992ii An Investigation of Art Therapy Provision in Alcohol Services, MA thesis, Goldsmiths' College, London University. 1992iii Art therapy in the treatment of alcohol and drug abuse, (with Waller, D) in Waller, D. and Gilroy, A., eds., Art Therapy: A Handbook, Buckingham/Philadelphia: Open University Press. 1993 Perceptions of art therapy and its absence in alcohol services: Research Report and Discussion, Paper presented at Conference: Theoretical Advances in Art Therapy, Warwick University. 1994 Perceptions of art therapy and its absence in alcohol services, Inscape, Vol 1(1): 15-18. 1999i Art Therapy and Art Activities in Alcohol Services', in Waller, D. and Mahony, J. eds, Treatment of Addiction - Current Issues for Arts Therapies, Routledge, London: 117-140. 1999ii (Ed with Waller, D.), Treatment of Addiction - Current Issues for Arts Therapies, Routledge, London. 2001 Three Commentaries: experiences at three exhibitions, Inscape, Vol 6(2): 51-62. 2007 (with Brooker, J. et al) Clinical Guideline: the use of art in art psychotherapy with people prone to psychotic states, Goldsmiths and Oxleas NHS Trust. 2009 An Art Psychotherapy Service Review of Activity and Developments (Key Note paper) Evaluation in the Arts Therapies: Best Practice Conference, Edinburgh [Practice Development Network: Arts Therapies, http://www.nhshealthquality.org/nhsqis/2636.html and Scottish Arts Therapies Forum, http://www.satf.org.uk/events.html]. 2010i ‘reunion of broken parts’ (Arabic al-jabr) A therapist’s personal art practice and its relationship to an NHS outpatient art psychotherapy group: an exploration through visual arts and crafts practice, PhD dissertation, University of London. 2011 Artefacts related to an art psychotherapy group, chapter in Gilroy, A., ed, Art Psychotherapy Research in Practice, Peter Lane. Firing over....starting to open the one-off kiln. Photo courtesy of Jay Myrdal. Unpacked....examining the results... Photo courtesy of Jay Myrdal.